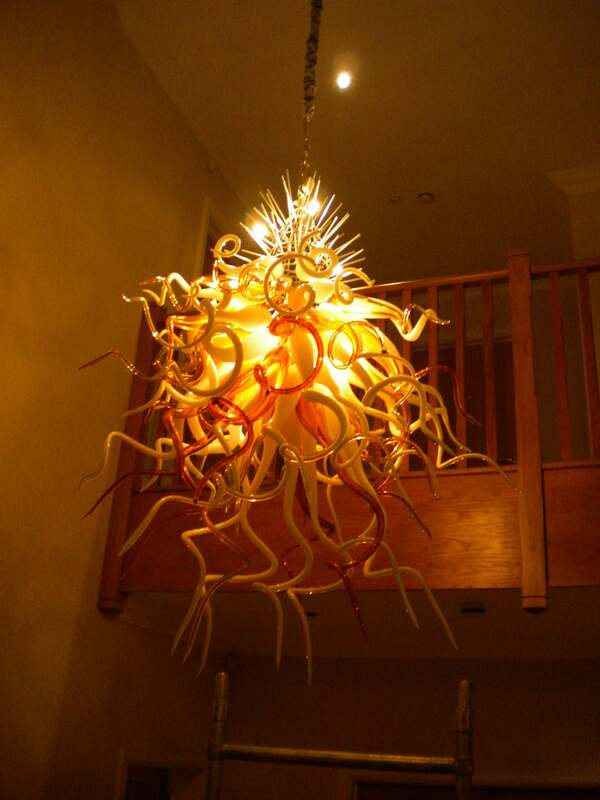 View examples of unique custom chandeliers. Let yourself be inspired by their unique beauty. CLICK TO VISIT OUR CUSTOM LIGHTING DIVISION - Mallory Custom Lighting. A beautiful custom chandelier may be one of the most expensive single items you will ever buy for your home or business, but in “wow factor” terms, it may be one of the the best investments you’ll ever make. We know from experience that there are plenty of discerning customers out there who would like to own unique and individual chandeliers. Over the past 20 years, our family has concentrated on building exceptionally close relationships with the most skilled Italian and Murano glass manufacturers who are right at the top of their game. All our partners have proven track records in their ability to interpret a design, execute it in a speedy time-frame without cutting corners, and deliver it within your budget. 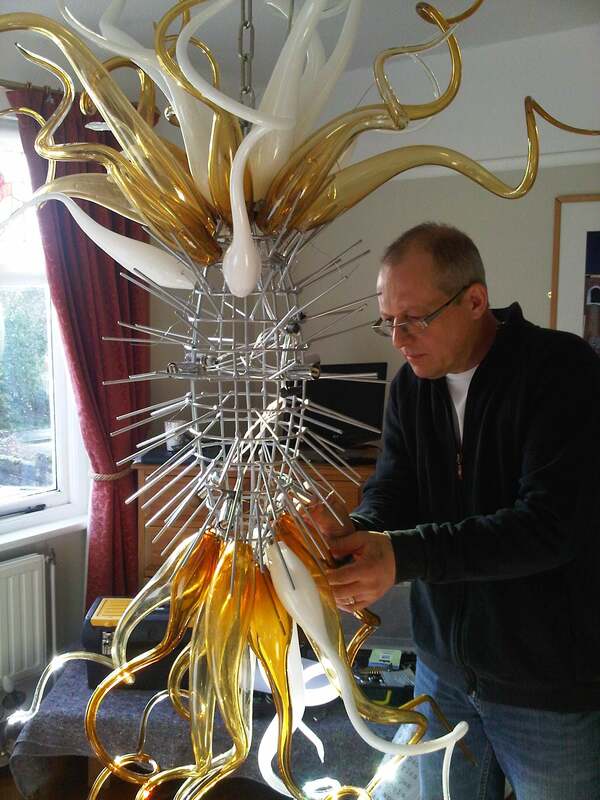 Thanks to these connections, we are able to offer you a bespoke chandelier service that we believe is second-to-none. For example, we recently designed, commissioned and shipped five custom chandeliers to Kenya. The time from the first meeting to installation was only 4 weeks! You may be inspired by one particular chandelier on our site, but would like a much larger version or a different colour. You may have seen a photograph of your ideal chandelier in a magazine and be unable to track it down. You may even have a design in your head, and need an expert to help your dream become a reality. That’s where we come in. 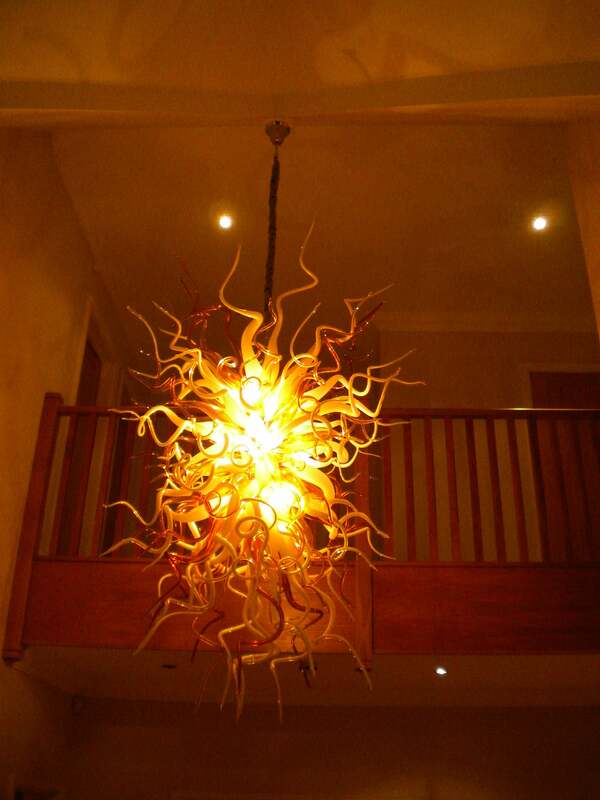 We can arrange to visit you in your home or business – wherever you want your amazing custom chandelier to hang. We can discuss your vision, come up with plans, and arrange for glass samples to be sent. 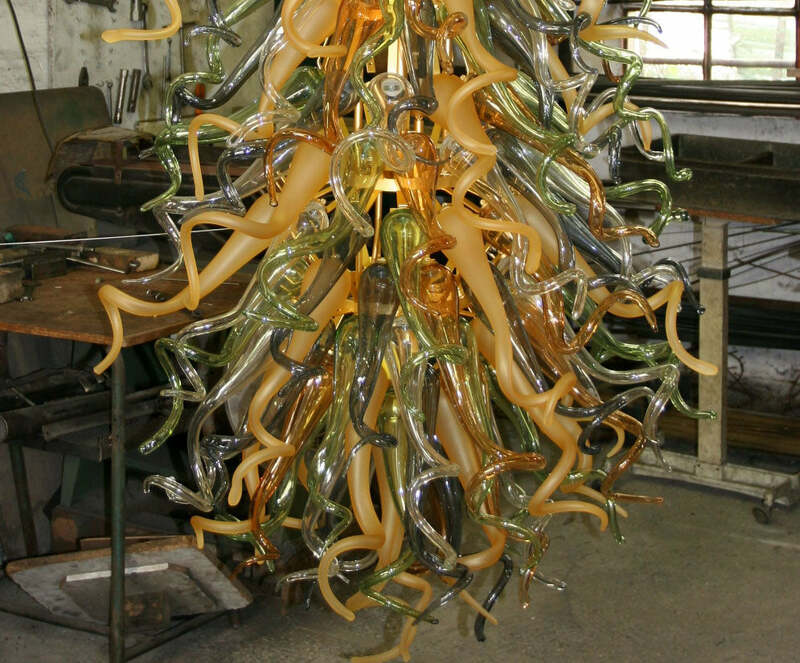 We can arrange for your unique chandelier to be made, and as our MD speaks fluent Italian, there will be no communication issues with whichever studio we use (This normally depends on whether you would like an Italian or a Murano glass custom chandelier). If you want an unusual shape, we can arrange for a special frame to be made. If you have a sloping ceiling, we will come up with an ingenious plan for a frame design. We will arrange for delivery, and then finally, we can install your own bespoke chandelier for you, as we have done for many satisfied customers over the years. If you are ordering a large custom chandelier, it may be a good idea to install a chandelier lift for easy cleaning and bulb changing. We can sort that out for you too. We have worked on many exciting projects all over the world. Our portfolio of satisfied clients includes the following: You will be in good company! The Mercure Hotel in BristolHarrods in London. So… feel free to call us today to talk to us about your ideas, and hopefully you will let us realise your vision. Take a peek under the bonnet of some of our greatest hits! 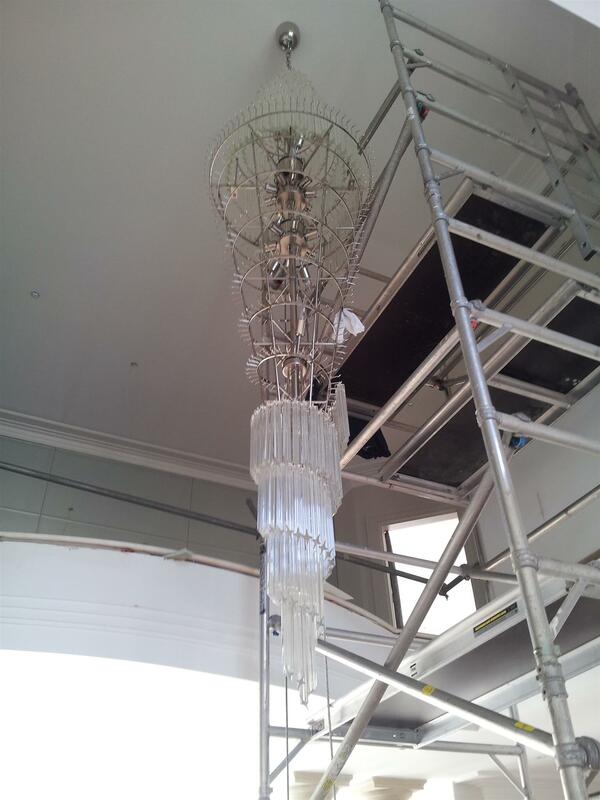 We installed this amazing 7 metre tall lead crystal chandelier in a private house in North London. The larger size is even more generously proportioned, measuring nine metres in height. This lovely oval chandelier had a chrome frame, from which we suspended beautiful coloured Swarovski ®Elements crystals. You can see from the numbers on the boxes that there were thousands of these pendants, all very closely packed together to spectacular effect. A sloping ceiling can prove to be a big challenge when it comes to installations. We knew about this ceiling beforehand, and were able to customize the frame to enable it to sit flat against the ceiling. This beautiful large Murano glass chandelier in the Rezzonico style was blown by hand from smoked or fumé glass, and had a subtle green accent throughout. Rezzonico chandeliers are characterized by the glass pieces which jacket the metal frame. Hundreds of glass sections were unpacked and assembled one at a time, all by hand. This large double spiral chandelier had a diameter of 3.6 metres. Hundreds of small sections of Piastra glass, the size of lollipop sticks, were slotted individually onto the frame. 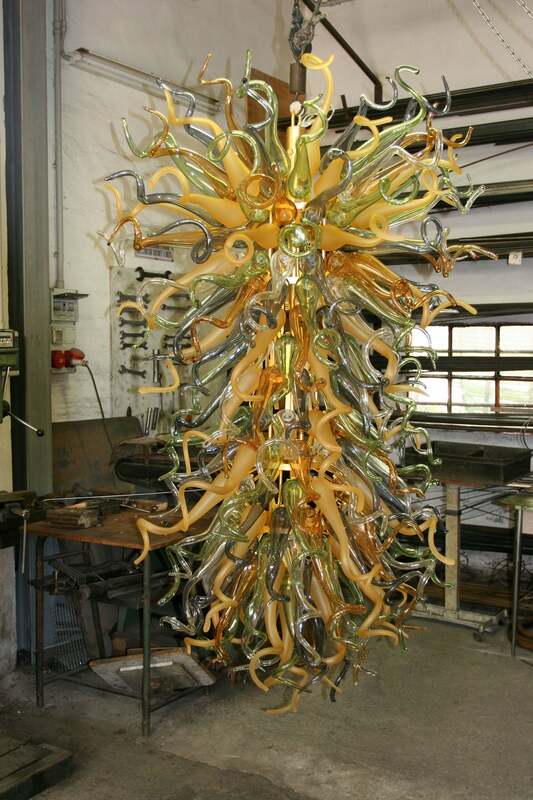 We travelled to Switzerland to install this spectacular orange Murano glass chandelier. Orange is a notoriously difficult colour to match, but we worked closely with the glass studio to make sure that it matched the splashes of orange in the client’s wall art. It was recommended to the client hat the strings of beads between the top and the ends of the arms be made from Pyrex, as it is a much lighter glass and has a better drape. 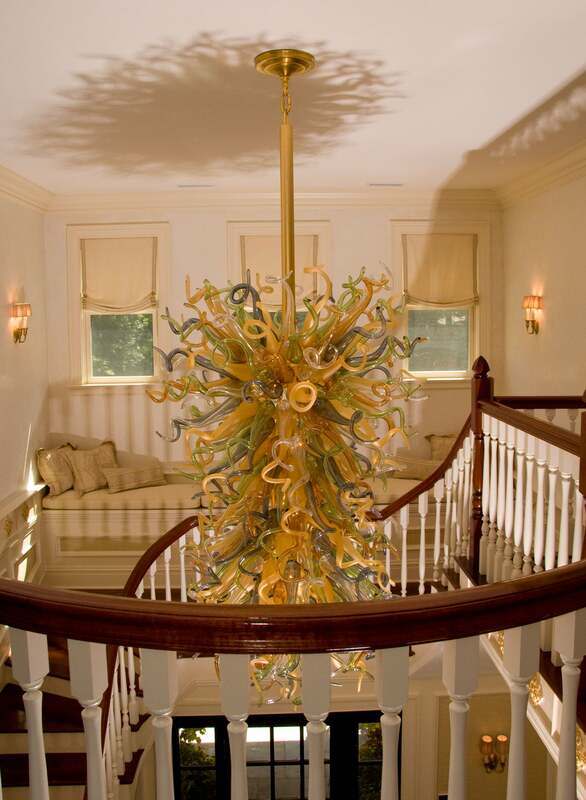 We had to make two notable customizations with this spectacular tall chandelier. Individual prisms are made from solid glass and are therefore incredibly heavy, particularly when the chandelier is as large as this. 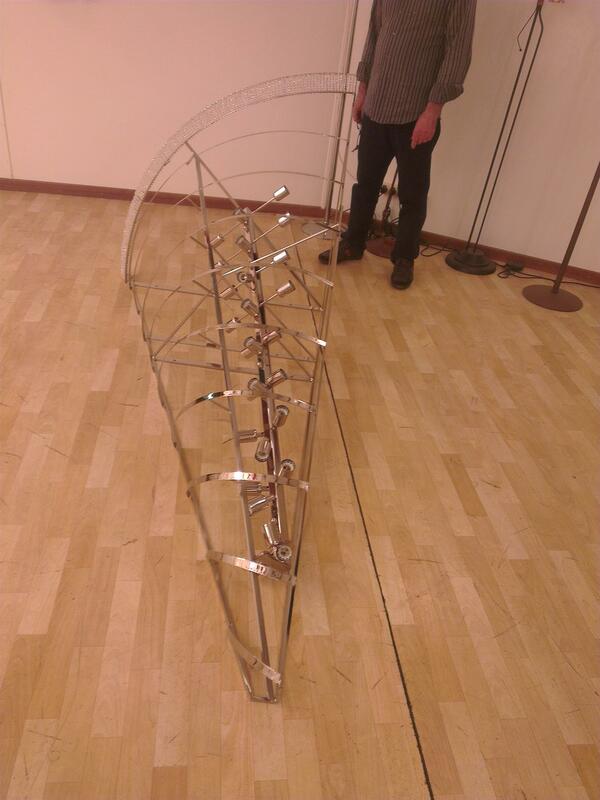 This chandelier was to hang over a void, so we had a special steel rig made to give it extra support. We also built a polished stainless steel cover into the rig, to keep the chandelier free from dust. These photos show two very similar Murano glass art chandeliers, specially commissioned by our clients and made in the Chihuly style. We flew the top chandelier to New York and installed it there. 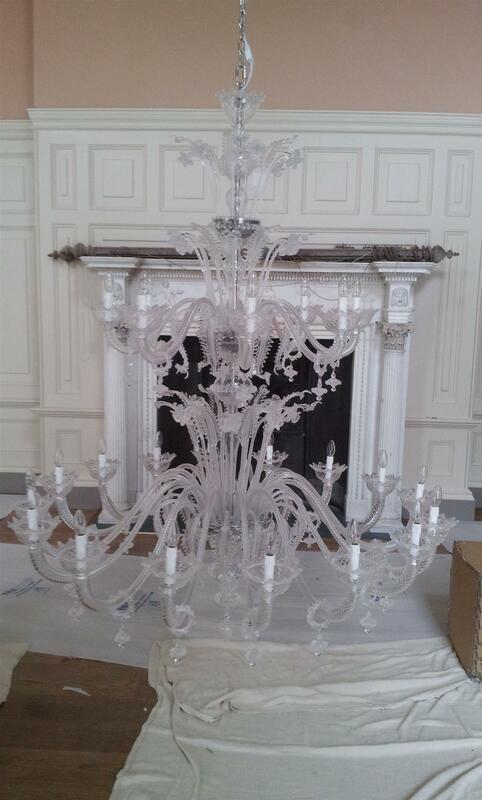 We then drove the bottom chandelier 20 miles to its beautiful new home in South Wales. Each of the many arms has to be attached individually to the frame. As you can imagine, opening a crate containing a chandelier like this after its journey from Italy is always a nerve-wracking experience, even though we know how incredibly well the pieces are packed, and we’ve never had a breakage. 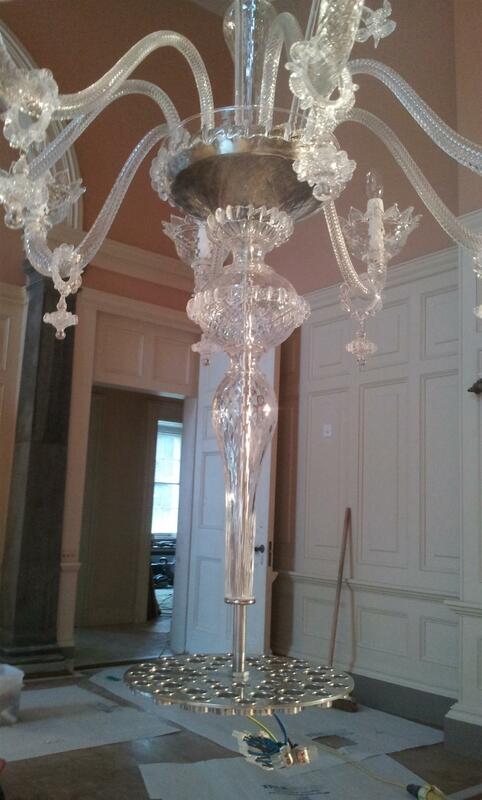 The installation of this lovely classic Murano glass chandelier went without a hitch. We knew in advance, however, that there was going to be very little space between the ceiling rose and the crown, so instead of a chain, we had a special rod placed within the column, and the top of this rod was attached to the rose to solve the problem. 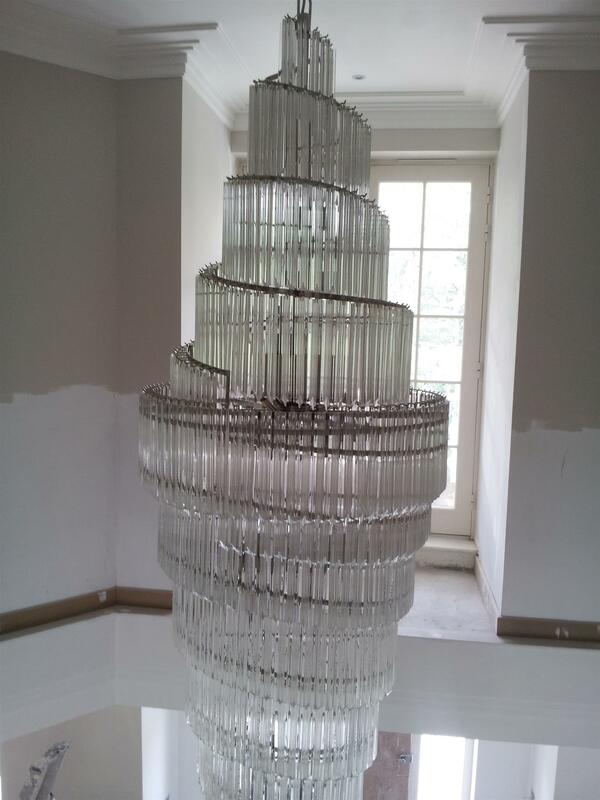 The installation of this beautiful lead crystal spiral stairwell chandelier went without a hitch too. It took quite a long time, however, as it was nine metres tall, our largest to date. 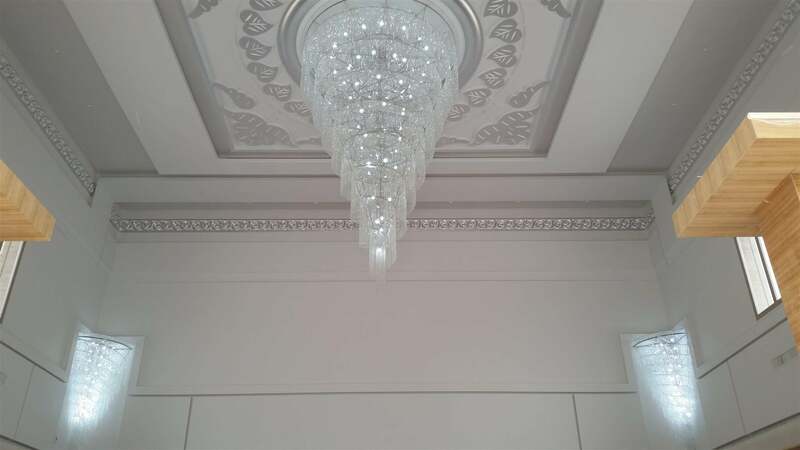 We flew all the way to Kuwait to install this wonderful six metre chandelier and matching two metre wall light. What made this installation remarkable were the two kilometres of crystal chains we used!